“I f--ked too many chicks and did too many drugs, and that’s the truth...‘I did it all. I drank the bong water. Now let’s talk about issues.’ That’s gonna be my campaign slogan: ‘I drank the bong water.’” - George Clooney to Newsweek on why he won't ever run for office. 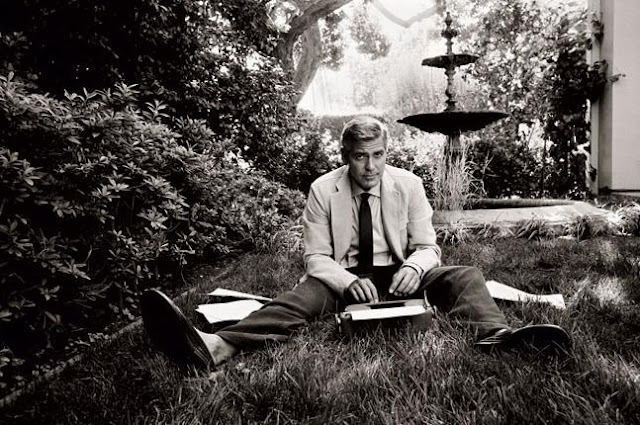 The photo above is from a Vanity Fair (November 2006) editorial starring George Clooney and model Gemma Ward. One of my favorites, see more outtakes here. I'm in love with your blog !!! <3 you have to continue!